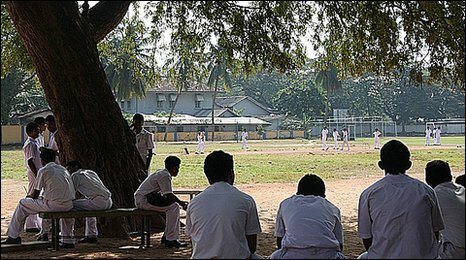 In the shade of a huge tamarind tree - a favourite meeting spot - boys in cricket whites wait for their turn on the pitch. In the cloisters is the motto Disce aut discede, Latin for Learn or depart, and in the quadrangles is the old school bell. A quick walk past the classrooms takes you through a kaleidoscope of learning - Sinhala in one classroom, music theory in the next, then maths and a science class taken in Tamil. Not far away they are learning Chinese - a language recently introduced along with German and Japanese. This is Royal College, one of Sri Lanka's most famous schools, which celebrates its 175th birthday this month. Its alumni include the country's only Nobel prize winner and many politicians. 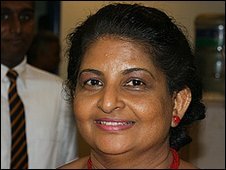 "It was started by Britishers," principal Upali Gunasekara, tells the BBC during a big celebration party. His office contains a feast of trophies and is set behind glass doors looking onto a corridor of old black-and-white photos of sports teams. "Joseph Marsh, the first principal, came to Sri Lanka in 1831 as a priest. He started the Colombo Academy in 1835. From then onwards till the 1940s, all the principals were Britishers." With Queen Victoria's consent it adopted its current name in 1881. 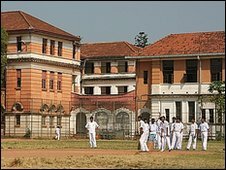 This boys' school, in the heart of Colombo, has been dubbed the Eton of Sri Lanka (after Britain's most famous private school) - but in fact Royal College has been a state school since 1961, funded by the government and free for its students although with facilities boosted by the generosity of alumni. The school has a vast number of pupils - 8,300. Today, says Mr Gunasekara, it is a mix of the old and new, traditional and modern. It has a huge theatre and computer laboratories. It is described as the only government school which teaches computing and IT at primary level, but when you visit the wooden galleried building which is the oldest part of the campus, it is like stepping back in time. Royal College has also been recognised by Bill Gates' Microsoft as an innovator - mainly for its cultural practices. Deputy principal Lakshmi Attygalle explains that this is because of its record in integrating a multi-ethnic society. "I think it is the only government school which teaches all religions and many languages," she says. "Activities relating to all these religions are staged at various occasions in the school. So you don't feel that Royal is for any particular community or class or creed." 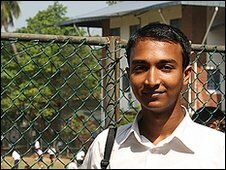 Birendre Jaythilake, 17, comes from the majority Sinhalese community but spent six years learning Tamil and has close friends across the divisions of this country which often appears so bitterly divided. He started at the college as an infant and says it means "everything" to him. "The mixing with all ethnic communities and the experience we gain out of opportunities offered in college - you get to act in many drama competitions where we can showcase our talents - makes this a place where we gain all-round education," he says. "Which moulds a complete man. Royal produces a complete product." Integration is not as easy as it sounds. Heavy restrictions on teaching in the English language in Sri Lanka are blamed by many for having promoted inter-ethnic divisions and mean that schools like Royal College have difficulty finding people able to teach using English. That means that for many subjects the children are segregated by language. Beyond the sixth grade the school is permitted to teach some subjects in English. Mrs Attygalle sees multilingualism as a "very strong weapon" against three things which she says have plagued this island: colonialism, nationalism and separatism. Another integrating force is sport. More than 20 sports are taught here. The annual cricket match against Royal's traditional rival, St Thomas's College, is said to be the second-oldest uninterrupted cricket series in the world, dating back to 1879. The BBC was told that the British headmasters of bygone days were strict disciplinarians. Even Birendre says he was once caned on the palm of his hand. Those punishments are defunct now but, he says, there are still some strict rules. "You can't have a beard. You should have a good shave before you come to school. And you should not grow your sideburns below your eye-level." "Number two" haircuts are the longest permitted - "and no fancy hair", he adds. Transgressors are apprehended at the school gate and asked to go and shave - or visit the barber. No doubt Royal College, for its next 175 years, will seek to live by the words of its school song: "We will learn of books and men, and learn to play the game."